Rep. Tom Price (R., Ga.) had a tense confirmation hearing in the Senate last week for his nomination by President Donald Trump as secretary of the Department of Health and Human Services (HHS). But he got a thumbs-up from the American Pharmacists Association (APhA) on at least one count: pharmacists’ place in the U.S. health care system. For example, Price exhibited an understanding of pharmacists’ role — and willingness to expand that role — in helping patients in medically underserved area receive care in response to a question from Sens. Bob Casey (D., Pa.), Sherrod Brown (D., Ohio) and Michael Bennet (D., Colo.), APhA noted. 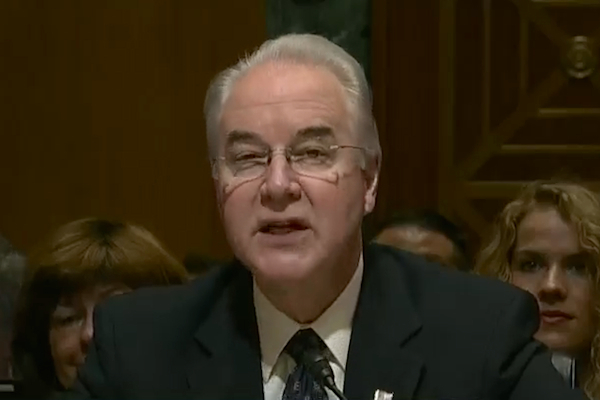 “Paying pharmacists in underserved areas to engage in certain medical services could work well in those states where pharmacists have such licensure,” Price told lawmakers. For the pharmacy sector, that viewpoint comes at a pivotal time. The House of Representatives last week reintroduced a companion bill (H.R. 592) to the Pharmacy and Medically Underserved Areas Enhancement Act, which the Senate had brought back to the 115th Congress earlier this month as S. 109. Both bills, endorsed by APhA, retained their original co-sponsors from the previous Congress. The so-called “provider status” legislation would recognize pharmacists as health care providers and allow state-licensed pharmacists in medically underserved communities to provide and be reimbursed for an expanded scope of patient care services under Medicare Part B. “We couldn’t be more pleased that the Senate and Congressman Price, like our nation’s 300,000 pharmacists and the patients they serve, recognize the value pharmacists bring to our health care system and the importance of the care they provide,” APhA executive vice president and CEO Tom Menighan commented.